By Ana Patiño, BuenosAiresHerald.com staff. 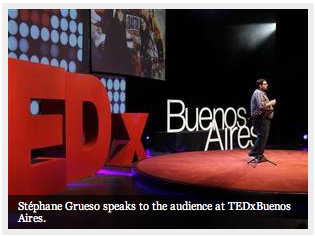 – Spaniard Stéphane Grueso assured that a new way of protest has appeared after the Tahrir, 15M and Occupy Wall Street movements, and despite their “little” concrete achievements, the change in the people’s minds has showed that it is in fact a success. Although there have been protests all along History, Grueso affirmed that “what happened last year is special,” regarding the three main motives that triggered the worldwide demonstrations that began in the Arab Spring, continued at Puerta del Sol last May and lead to the Occupy movement in Zucotti Park by the last quarter of the year. The Spaniard highlighted six main points in common between Tahrir, the Indignants, and the “99 percent,” including the fact that they all gathered in public squares surrounded by important buildings, the horizontal organization which has no leader, the role in information and communication technology and the non-violent protests. He also mentioned the “copyleft,” action that he describes as the “documentation and sharing of what’s happening,” giving transparency to the movement and leaving it in the internet so everybody can have access to it. The movements are currently organizing the 12M (May 12) protest that will be a massive global march as the 15-O (October 15), and Grueso has called on Argentines to participate in it. “I am aware that you passed through a similar situation in 2001, but you are not alone now,” he said. p.s. you can find the original article here. p.s.2. Aquí una copia traducido (automáticamente) al español / Find here a spanish copy of the text. I recently started a new project. Together with Pablo Soto and Patricia Horrillo, I will be working for the next year in this wonderful transmedia project about the so called “Movement 15M”. Our project includes a film, a book and an interactive website. Here I copy for you a text from our website explaining what is all about. On May 15, a demonstration organized by Real Democracy NOW! paved the way for what has been called «15M Movement» or the «Spanish revolution», an unprecedented collective awakening in Spain. From that day, hundreds of citizens gathered around the central square of Puerta del Sol in Madrid. Others, like us (Pablo Soto, Stéphane M. Grueso y Patricia Horrillo), began reporting on what was happening on the streets through social media and blogs. We had a common goal: we wanted to do our bit for this social movement. That’s why we decided to carry out a non-profit collaborative project with a copyleft license (Creative Commons BY / SA 3.0 ES). On May 15 2012, we will publish a book and a documentary and we will make both available to download in an interactive website, along with additional materials. From that day on, we will promote and distribute these works globally, translated into different languages, and we will participate in forums to raise awareness or shed some light on the 15M movement. The project itself will be an experiment on the collective creation, and we will try to implement some principles of free culture within this process. As a creative approach, we will also try to adapt techniques used in the free software development processes and the whole experience will be accurately documented. To make this project possible, we need the cooperation of the community. We will set up two-way communication channels to get feedback and to keep the creation of these works rolling. Pablo Soto (@PabloMP2P) is an entrepreneur and a developer. Considered one of the so-called «fathers of P2P», such as Justin Frankel (Gnutella) and Shawn Fanning (Napster), Soto is a usual panelist at national and international forums and visiting professor at several universities. Stéphane M. Grueso (@fanetin) is a filmmaker. Always interested in film and television, Grueso has developed his career in Spain and Germany. His latest film is «¡Copiad, malditos!» is a documentary on intellectual property, copyleft and free culture. Patricia Horrillo (@PatriHorrillo) is a journalist. Passionate about communication and social networks, Horrillo has a multidisciplinary background with experience in marketing, design and local journalism. As a freelance journalist, she is working with different online media outlets. Feel free to contact us via email for further information: contact@15M.cc. Follow us in Twitter @15M_cc and Facebook http://cos.as/154. We have an office in Madrid and you can also reach us by phone at [+34] 910 059 045. NOTA: Neither the 15M.cc project nor their authors do belong or are related in any way to Creative Commons or Creative Commons España. We only do use their licenses. 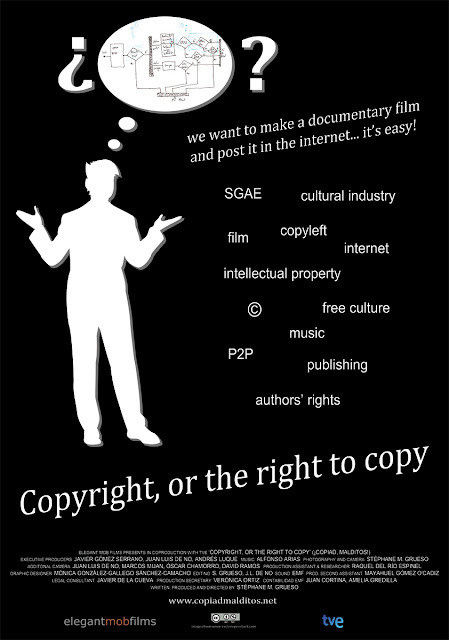 The web that belongs to the documentary ‘Copyright, or the right to copy’ is already on line. – blog with the latest news about the project. 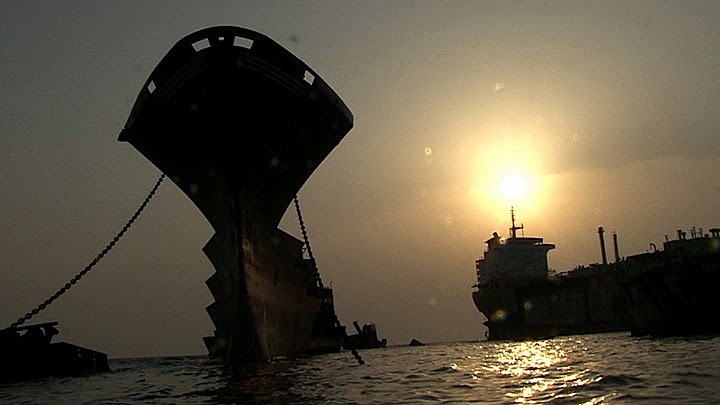 Currently, and till TVE broadcasts the film, the documentary is NOT available in the web. Once shown by the TV station we will put it online so everyone can watch it, download and copy it, after its Creative Commons license. There is an english version of the documentary available. All other materials have the same license nd can be downloaded fronm the website or archive.org. 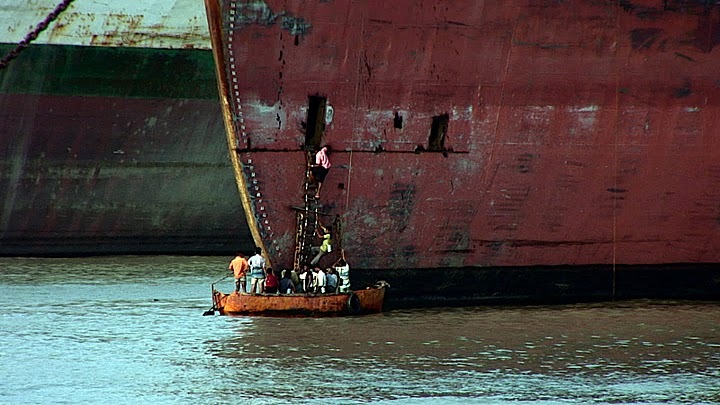 I am happy to announce that our documentary film SHIPWRECK, directed by Javier Gómez Serrano and produced by me won three awards in the “Santiago Alvarez in Memoriam International Film Festival” held in Santiago de Cuba a couple of days ago. Here you can find more infos on the film. Here you can watch the film.